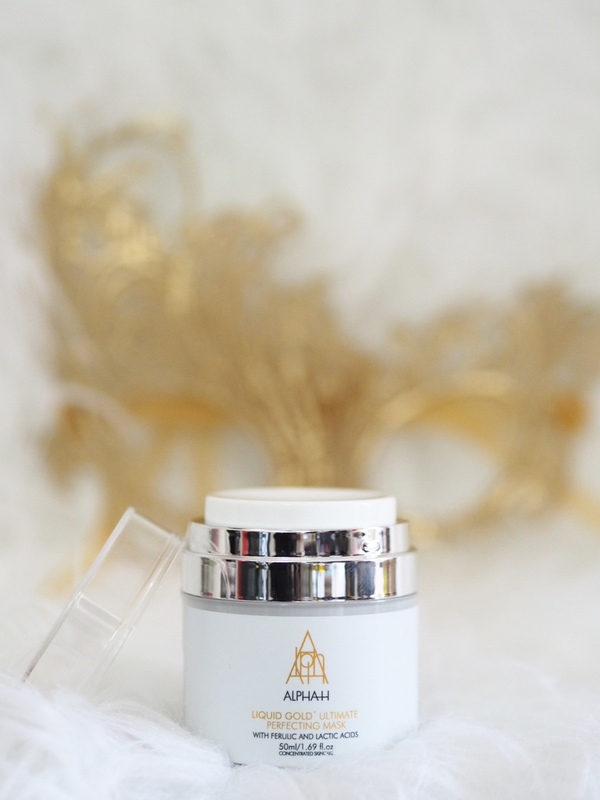 Don’t miss this Alpha-H Mask – Launching Today! If you’re a regular reader of this blog, you’ll have seen a few names in skincare that keep popping up again and again. 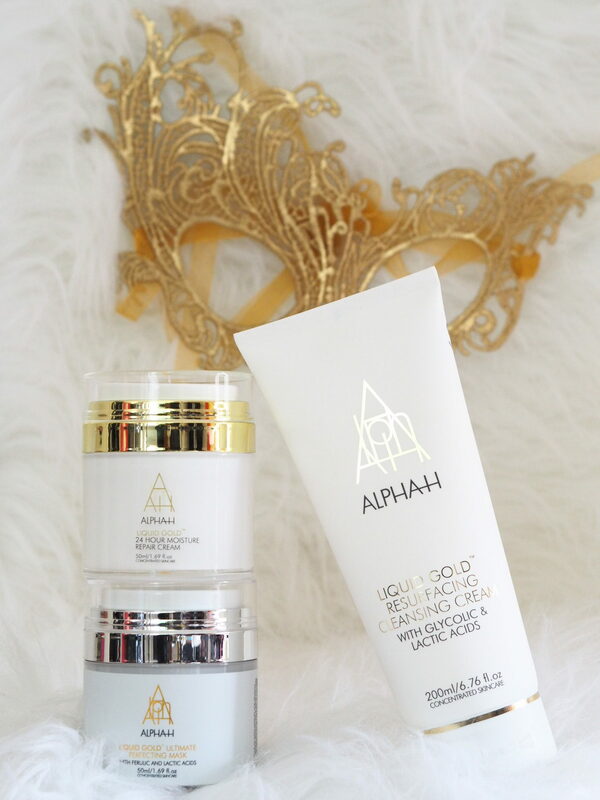 Alpha-H is one of them – their Liquid Gold treatment is one product my bathroom shelf is NEVER without and I use it week in, week out, throughout the year. I guess you could say it’s the workhorse of my skincare regime that makes everything else work better. So I’m super excited for their newest, latest offerings that launches today (Monday, 30th April) on QVC UK as part of their TSV. Of course, if you’re hooked up to my instagram (link here) you’ll already have seen the pre-sale link that gave you early access to the TSV that went live on QVC UK at midnight. 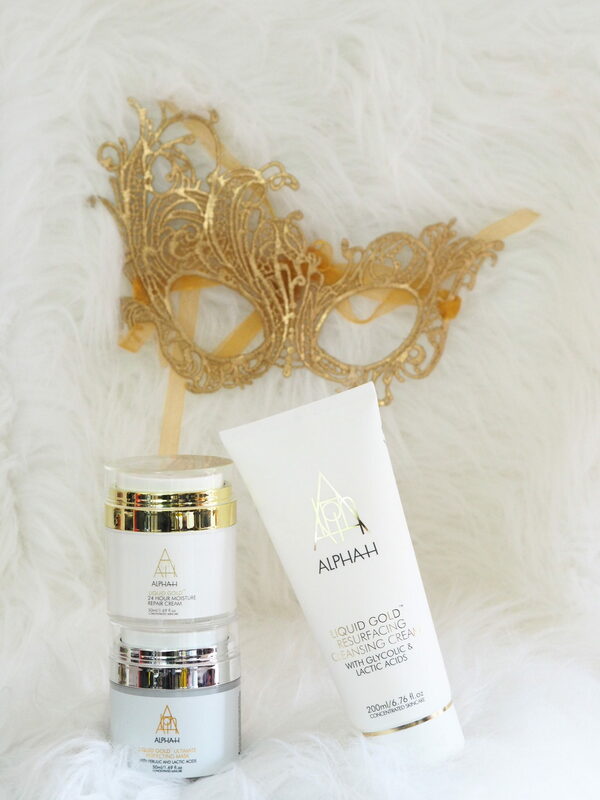 But just in case you didn’t, here’s a really quick lowdown – what you need to know about what’s in the deal and why you HAVE to buy it (and be quick about it because Alpha-H skincare TSVs always sell-out early on in the day. The TSV kit contains three products – two of which are brand new worldwide launches. The Liquid Gold Resurfacing Cleansing Cream is a very creamy cleanser, that when it goes on (to dry skin) feels like you’re applying a luxurious night cream. Not only does it contain the Glycolic Acid that Alpha-H is known for, it also contains Lactic Acid to hydrate and exfoliate dead skin cells. I’ll admit my skin did tingle a bit the first time I used it, but nothing too uncomfortable and the tingling stopped as soon as I washed it off, leaving me with super smooth, soft and hydrated skin, thanks to the inclusion of Shea Butter and Hyaluronic Acid. While at first glance I thought this would be perfect as an evening cleanse (to ensure serums etc can penetrate deeper), I think it would also make a great morning cleanse for radiant skin that will hold makeup extra well (just always remember to use an SPF if you’re using any kind of glycolic/lactic acid, or any other chemical or enzyme peel ingredient, or even retinol or any other BHA/AHA…) Also, perhaps save this as a treat, as part of your weekly (or twice weekly) pamper sessions, rather than an everyday, especially if you’re new to glycolic products. The other new product launch is the Liquid Gold Ultimate Perfecting Mask. The name says it all. It does everything you want in a face mask, all in one go, in a ten minute treatment. It’s your weekly peel treatment in a pot – no rushing in and out of the express peel bars that seem to be popping up on every street corner – this pot has it all here for you, and keeps you in control. 20% Alpha Hydroxy Acids (the highest concentration Alpha-H have ever included in a consumer product) give you an at-home peel, revealing smoother, softer, clearer, more radiant skin – my pigmentation marks were visibly reduced in just one treatment so I’m very excited to see what repeated weekly treatments will do (I would say this is a once-a-week treatment, not more often than that). Like the cleanser, it also contains Hyaluronic Acid and Shea Butter, but it also includes my current favourite skincare ingredient, Squalene, to hydrate, nourish and moisturise and Tazman Pepper to calm, so there’s no nasty redness, no downtime, none of the downsides traditionally associated with peels. PS – the cleanser is super-sized – and thank goodness, because you won’t want to run out of it! PPS – I’m following the Ultimate Perfecting Mask with a Vitamin C Serum to really try to work on those pigmentation marks that are bugging me – I’ll report back in a month or so to let you know how I’m getting on. Thanks so much Rachel – if you love the Liquid Gold, I have a feeling you’d love this little miracle mask – it’s so effective, I’ve even managed to get my husband to use it and he’s loving the results!